Lake Bumbunga, that you? You’re looking kinda pale. I recently went on a solo road trip venturing about 2 hours north of Adelaide for one specific reason - I wanted to experience one of Australia’s numerous and famous Pink Lakes! Australia is known for its beauty and, during my days off, I try to take advantage of opportunities to explore nearby or surrounding areas and experience what this beautiful continent has to offer. I did some research and learned that there were five pink lakes nearby and two of them were less than a two hour drive away. 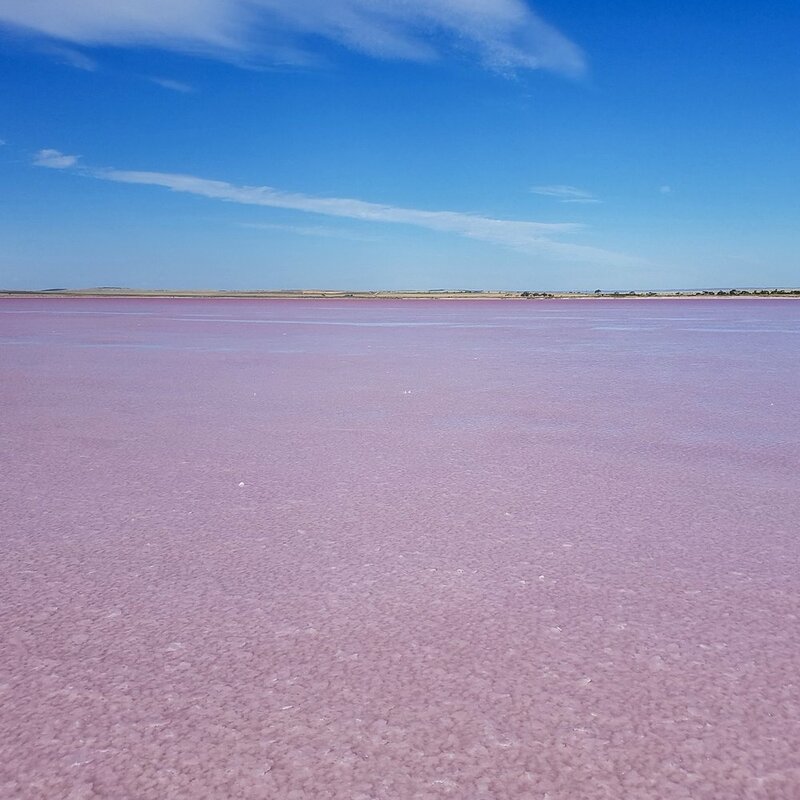 I decided to check out Lake Bumbunga, as the photos of the lake on the internet were a beautiful vibrant pink color, and it was the second closest lake, only an hour and 44 minute drive from my house. Photo is taken by Di (@dijana969) from their blog on Steemit. 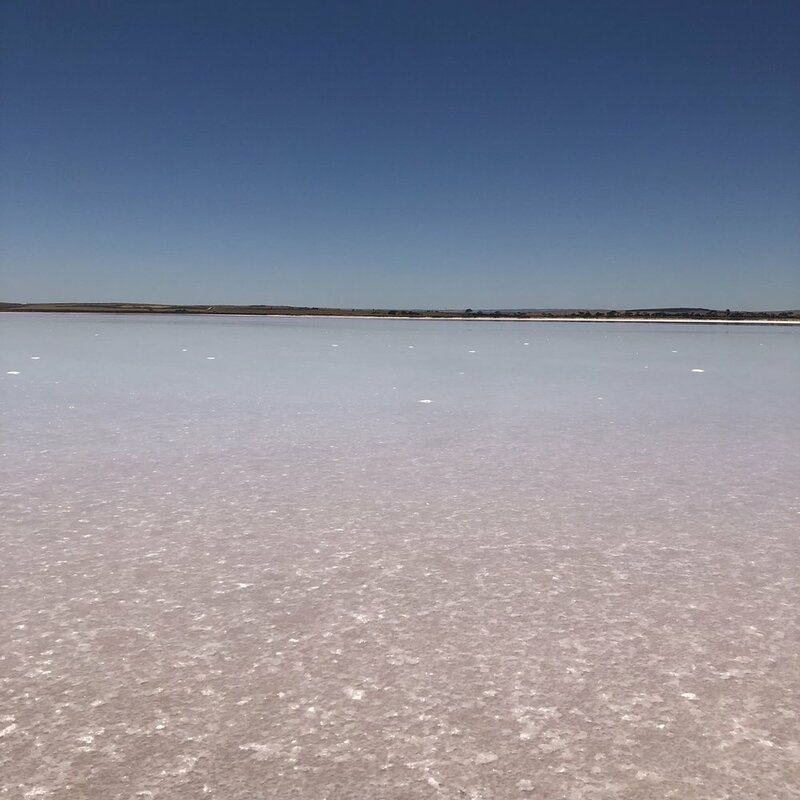 Click here to read about their successful visit to the lake Bumbunga and details on how the lake gets its color. Photo taken by me of lake Bumbunga. I guess if you look closely you can see a pale pink color, if you squint, like really hard. So disappointed. The drive up north was not like our drive down south when we went to explore Deep Creek. I was looking forward to seeing lots of greenery, rolling hills, and maybe occasional views of the ocean. Instead, I saw a lot of brown and yellow landscapes and it felt as if I was driving through the desert (not that I have ever driven through a desert before). It wasn’t the prettiest of views, but I told myself it would all be worth it once I was standing in front of the vibrant pink Bumbunga Lake. Well, I’m sad to report that after driving for just under two hours, I was disappointed to pull up to a lake that was NOT pink. Jitter Bean Oasis, the cafe located directly across from lake Bumbunga. Brunch; Steak and mushroom meat pie, salad and in true Kayla fashion, a cookie! Disheartened and hungry, I went into the cafe located directly across from the lake, Jitter Bean Oasis. 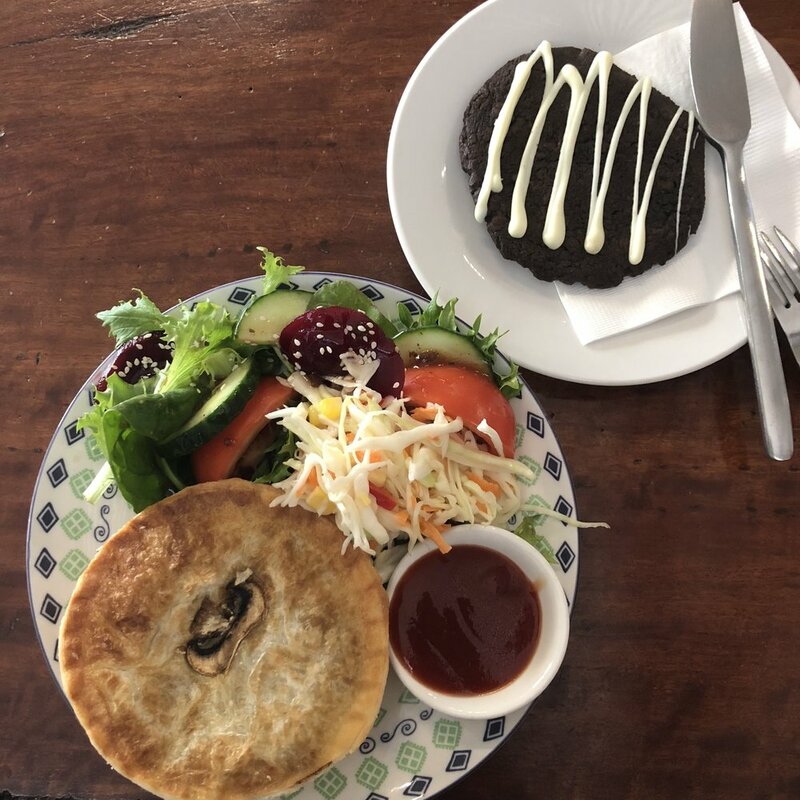 There I enjoyed my second Australian meat pie with a salad and chocolate cookie. After my meal - which I very much enjoyed – I began chatting with one of the ladies working in the cafe. She informed me that I was indeed at the right lake and that it normally is a bright pink color, but due to the lack of rain it was a very pale pink instead. 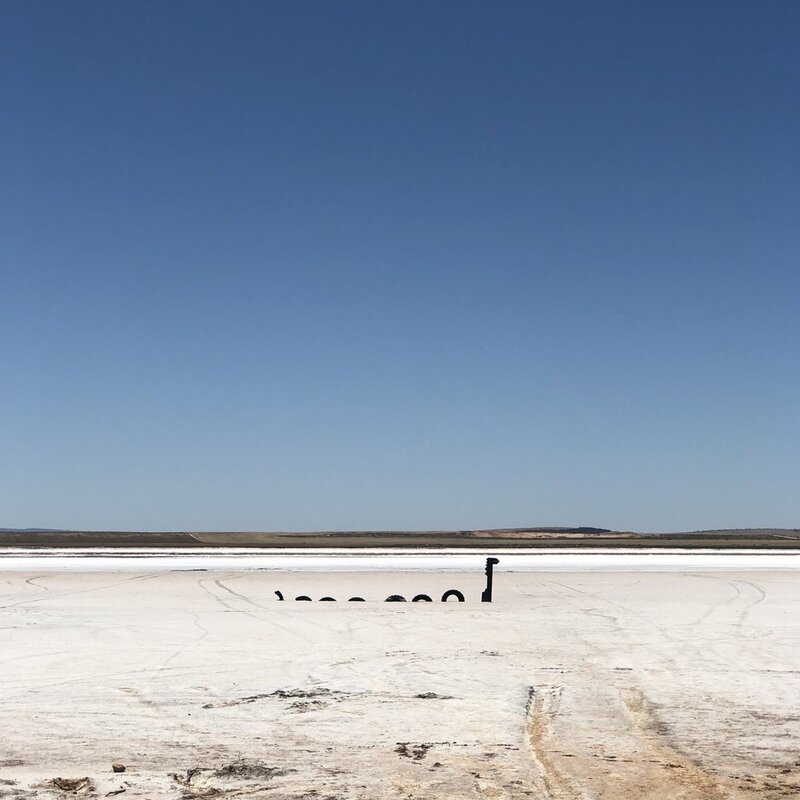 Dejected, I figured I should still check out Lake Bumbunga since I had driven all this way. The salt formed like crystals, such an interesting texture for a lake. It was rather damp, my shoes were sinking it, creating the illusion of waking on snow. I would love to say I’m cool and dabbing on them. But in reality, I am mid fly swat. Looks like pure crystals… disappointing but pretty in it’s own right. There were two things that I noticed instantly: first, the flies. I didn’t know if it was because of my dark skin (mistaking me for a cow or livestock? ), but they swarmed me as though their survival depended on it, and it was infuriatingly annoying. I felt as though I was swinging at flies every three seconds. The second thing I noticed was the texture of the ground as I walked closer to the lake. It didn’t feel like sand, and the hard crunch under my feet reminded me of winters spent trekking through hardened, packed snow. Except, it obviously wasn’t snow – it was salt. In some of the photos I took you can see a faint pink color but, for the most part, the lake looks incredibly white. On a lighter note, I did find the Loch Ness monster! He does indeed exist and he lives in Australia! Despite my disappointment with the lake and the vicious flies that would not leave me alone, I decided that since I was already out there, I would check out the surrounding areas. 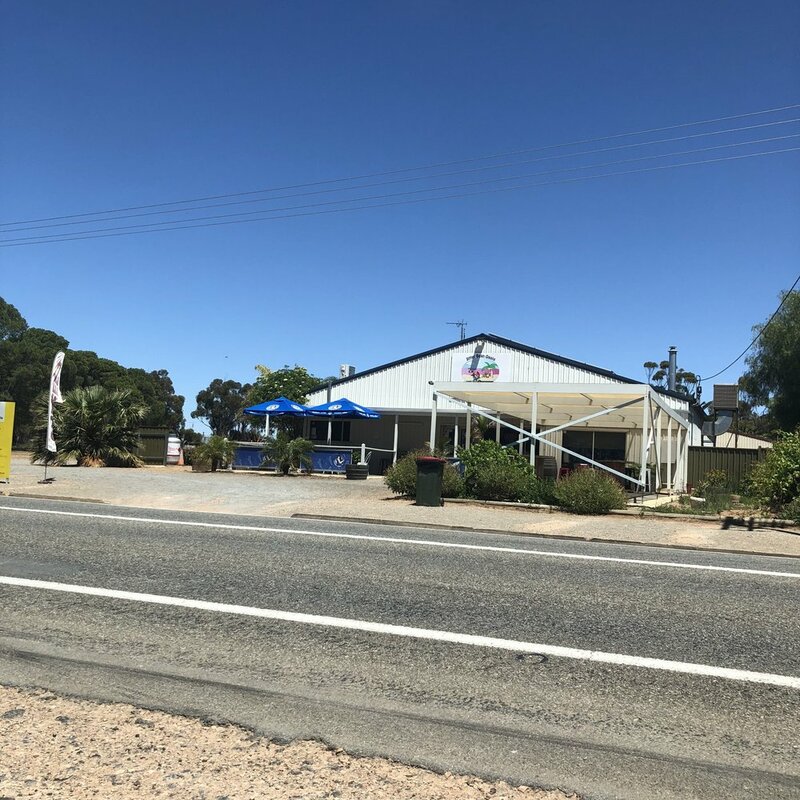 So, I began my 35 minute drive up to Clare Valley… aka wine country… that you can read all about in part two here! Have you ever visited a pink lake? If so, where?